On Sunday’s episode of Keeping Up With the Kardashians, Kris Jenner and her boyfriend Corey Gamble visited the studio of artist Mr. Brainwash to view some recent works inspired by the famous family. 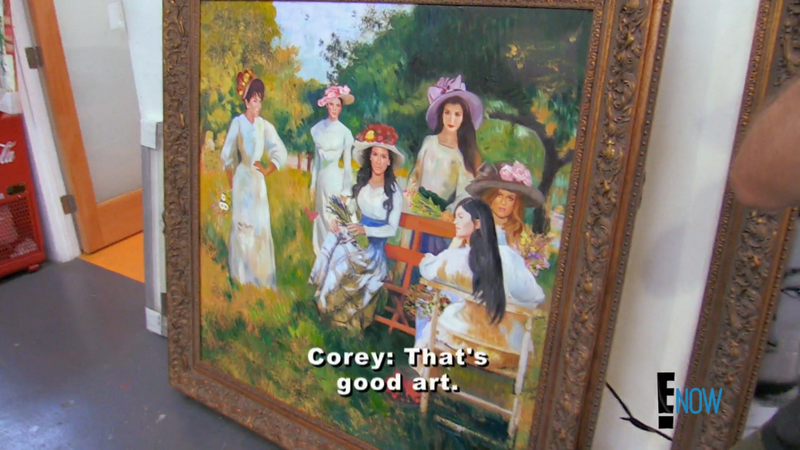 One piece, a painting of Kris and her daughters, was particularly good. Yep, it’s all good. Good art.